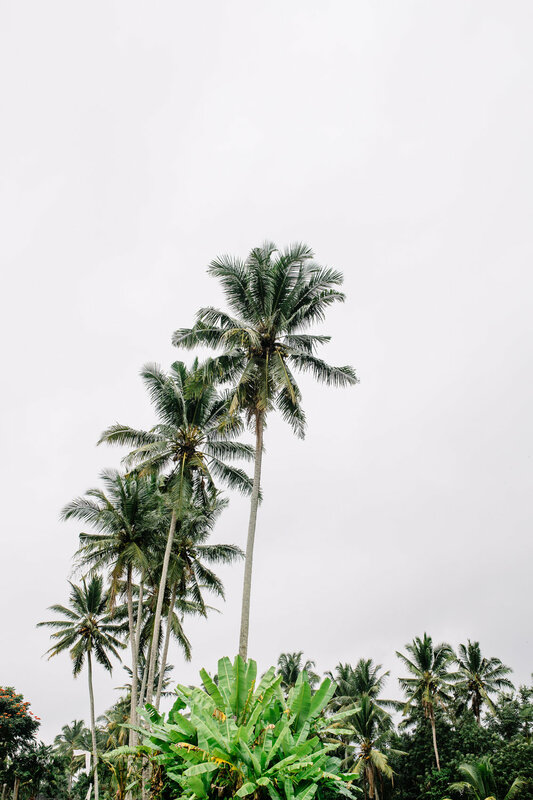 Grace & Steph | BALI — Sailaway Dress Co.
Sailaway's talented photographer Meg Gisborne recently visited Bali's creative hub, Canggu, where she had the pleasure of meeting two nomadic souls, Grace and Steph, with equally interesting stories. As well as capturing some magical shots amongst the rice fields, Meg got to learn a little more about what makes these women tick. I remember in grade four, where the only sense of fluent English I could utter was "are you okay". Immigrating to Indonesia from China at the age of ten, with my level of English close to one of a kindergartener, I felt helplessly intimidated. To me, Bali was a foreign land, booming with international cultures- a culture I was never exposed to. The adjustments I made with my Mum strengthened my ability to interact and adapt to a multicultural community. But now, my chapter in Bali has come to an end. I am heading to Paris for a summer school on French art history. Then in August I will be heading to New York’s Parsons School of Design to discover what my passion has in store for me there. I am originally from the North East of Scotland. I have always had a deep passion for travelling to exotic places and forever dreamed of living the island life. So, at the start of 2018 I decided to take the plunge and quit my 9-5 job, bought a one-way ticket to Bali and made the magical island of Bali my home. I was lucky enough to swap my dreaded morning commute to work in the rain and snow with a sunrise dip in the Indian ocean and an açaí bowl to start the day. Being able to live by the tropical ocean surrounded by beautiful Balinese rice paddies aligns with my own values; being close to nature. Living a life that is true to myself how allowed me to explore my purpose and passion. As a vegan and lover of Mother Earth, I decided to turn my passion into a career as a content writer. I want to empower people to take action, make better choices and bring about positive change through my writing and help vegan and help ethical companies grow. It was one of those lightbulb moments - I couldn't believe I was able to write about something I truly cared about and make a living out it! After years of searching for that one “soul-satisfying” career, I finally found it. You can discover more of Meg's beautiful images here. Posted on July 3, 2018 by Holly Madge.